Ready? Set? Go! Race your friends through this gigantic 65 Foot Obstacle Course. Don’t let the bright, fun colors fool you. This obstacle course is a serious workout. Ready? Set? Go! Race your friends through this gigantic 65 Foot Obstacle Course. Start the obstacle course by climbing through the blue entrance tunnel, then make your way through towers of blocks and tubes and climb through tight tunnels. 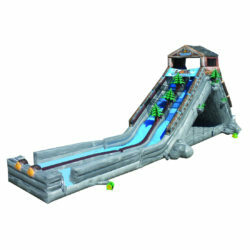 After going around, up and over and through this maze of multi-colored obstacles, scramble up the blue climbing wall. Finally, slide to victory down the gigantic yellow slide. So much fun, you’ll want to race again and again. Don’t let the bright, fun colors fool you. This obstacle course is a serious workout.